Now blooming out here in the boonies . 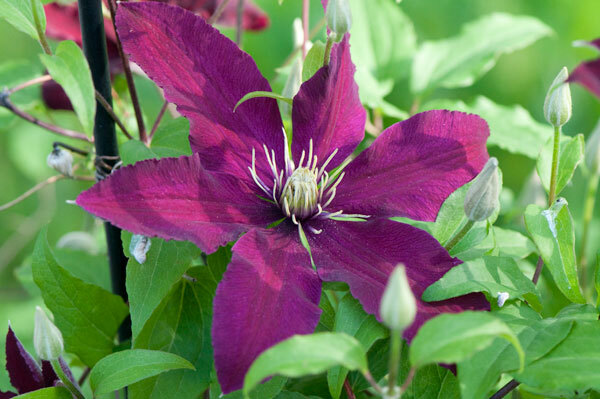 . .
Jackamanii clematis (above) in the perennial garden, transplanted in 2005 from its spot by the front porch at our last house. 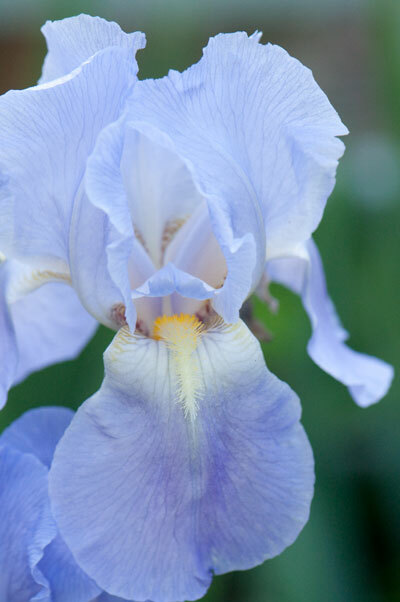 Bearded Iris in the front yard, transplanted from a large, beautiful cluster the front pasture. That spot once was part of the front yard of an old farmhouse. The stone foundation and a crumbling block building and cellar are all that’s left of that old house. The cellar, incidentally, is kind of creepy and is known as the snake pit by various young adults from around here who spent time here when they were younger. 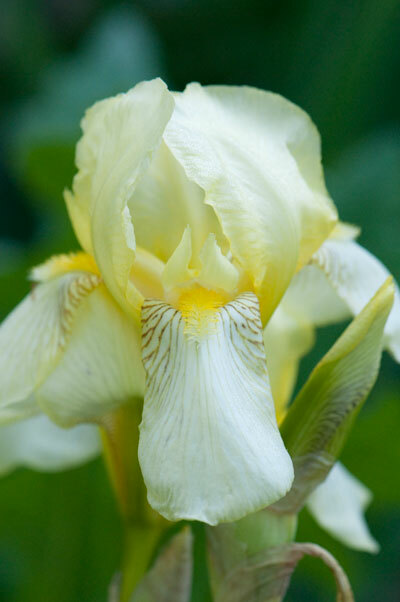 I moved these yellow bearded iris from a wooded section behind the old farmhouse ruins. I suspect they once grew in a manicured flower bed, but in the decades since the demise of the house, the woods grew up around them. 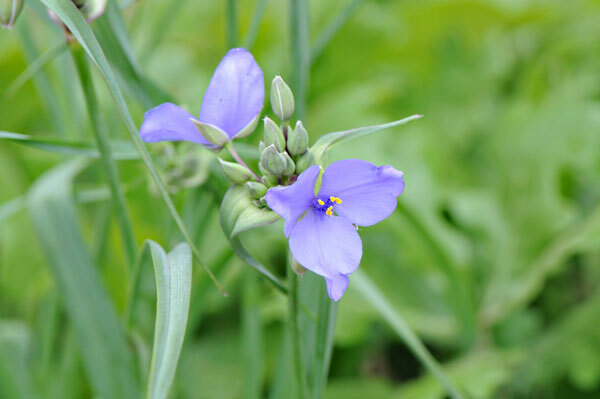 Spiderwort growing wild along the roadside. 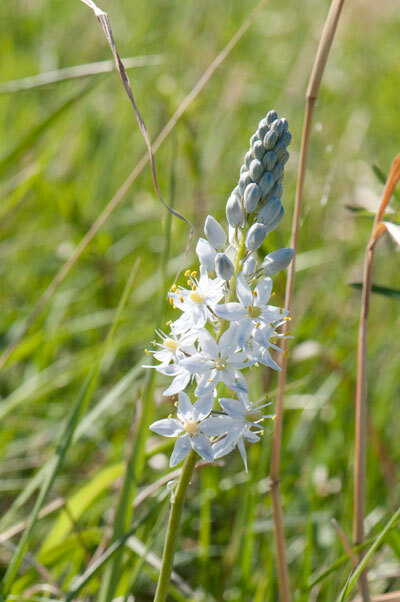 Wild hyacinth (Camassia scilloides) – still blooming here and there on prairie restoration sites in the area, though their season has nearly ended. The snake pit?!? Oh great, I suppose you were going to send me down in the pit without telling me!